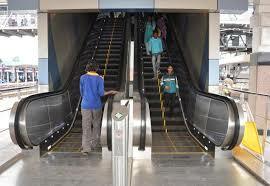 Indore: The city railway station is all set to provide elevator facility to the passengers. As many as three lifts are being installed at the station. These lifts will be installed at platform number 1, 2 and 3. Railway officials on Wednesday conducted a trial run of a lift at platform number-4 of the station. They said that work for installation of a lift at the platform number-4 of the station has been completed, and the agency engaged in installation of lifts at the station is going with load testing of the lift. The total cost of this lift is around Rs.7 lakh. Officials expect to make this lift open for passengers within ten days. They said that the agency, engaged in installation of three lifts on the station premises, will issue a clearance certificate. "We are expecting to get the clearance from the agency within a week. After which it will be made open for the public," said an official. SOURCE : The Times Of India.